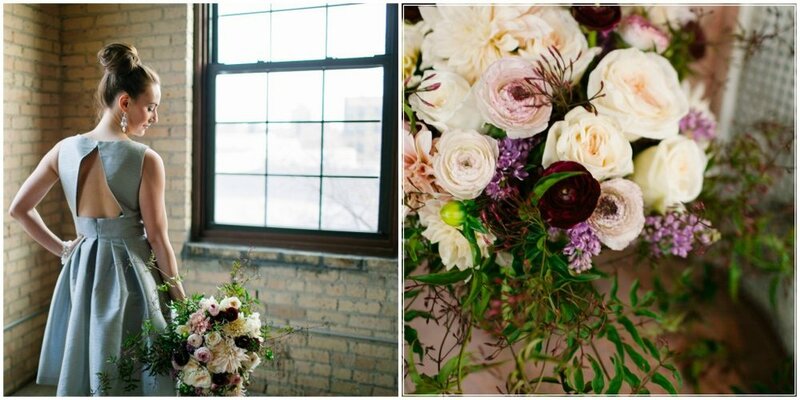 The Solar Arts Building by Chowgirls is a new venue in Northeast Minneapolis, and we were honored to have been the first to capture a styled shoot in their space. 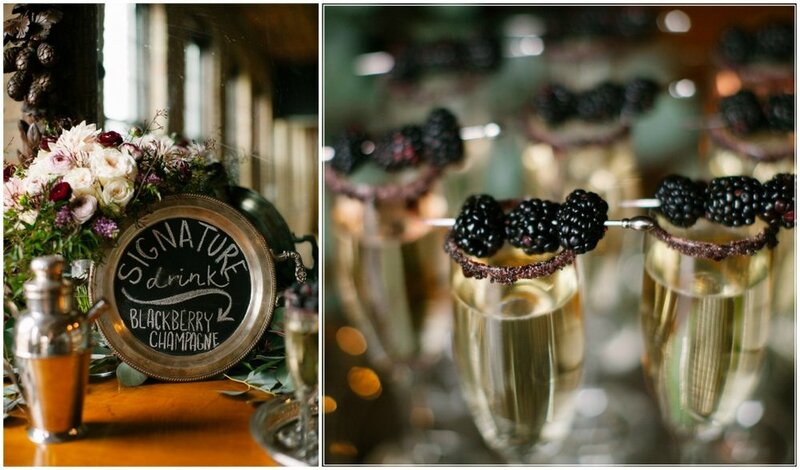 This kind of styled shoot could not have happened without everyone working together as a team, and we were so lucky to have had such a fantastic team of vendors who were not only crazy talented but also a whole lot of fun! 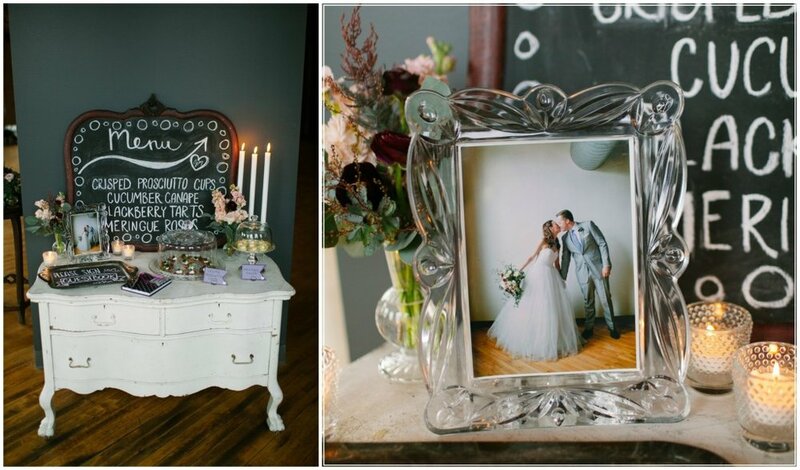 We LOVED the vintage heart birdcage, vintage furniture and other fun props and details that were graciously provided to us by Sarah of On Solid Ground Vintage Rentals. The mixture of purple and pink hues with the antique furniture pieces is definitely a must-have look this season! 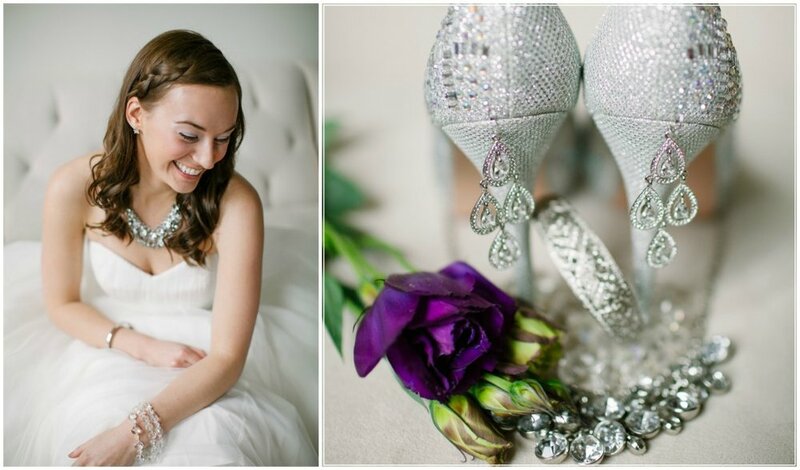 In addition to photographing this amazing styled shoot, Christina of Electric Lime crafted the bride’s crystal beaded bracelets and chose the rest of the bridal accessories to complete the look. 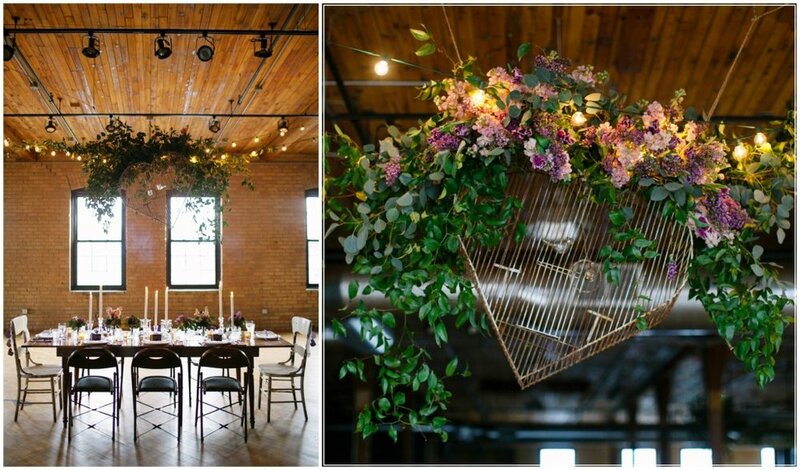 Molly from Studio Emme shared her many design talents with us, including dressing up the birdcage with a lush floral garland, the amazing bouquet and the custom invitations. 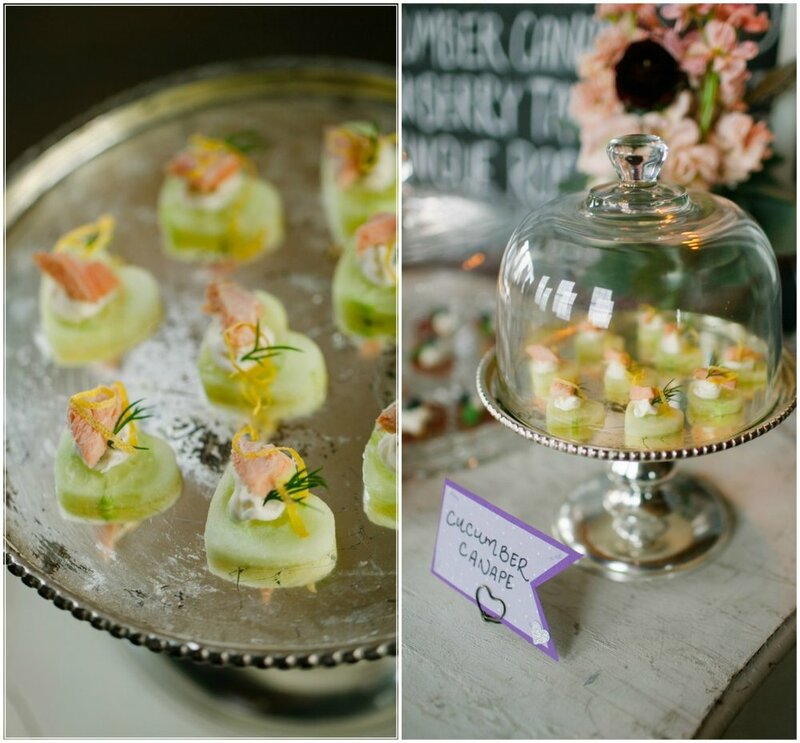 We are obsessed with adding personal touches to our styled shoots, and this one was no exception. Yes, of course we are talking about our two furry friends! 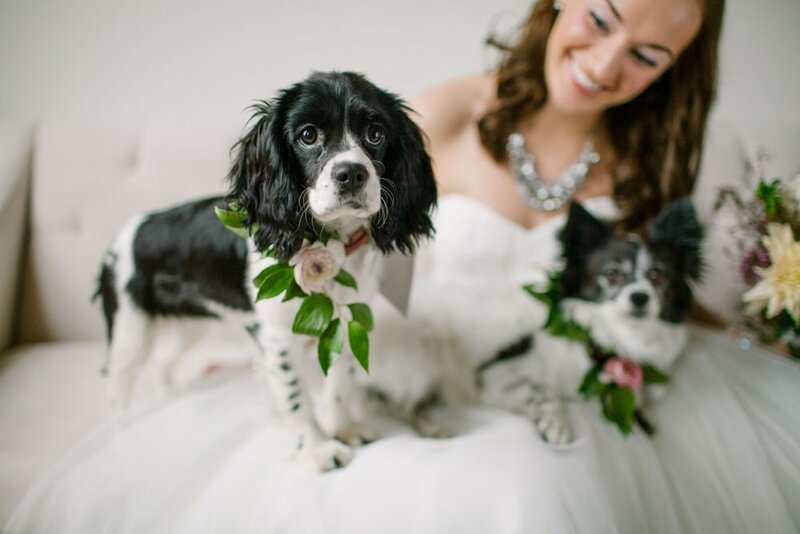 The papillon (aka the cutie with the big ears that stick up) is Vesper Lynd, Christina’s very own little girl. The cocker spaniel puppy, Mila, is Janea’s pride and joy! Thank you again to our amazing vendor team, we could not have done this without you! 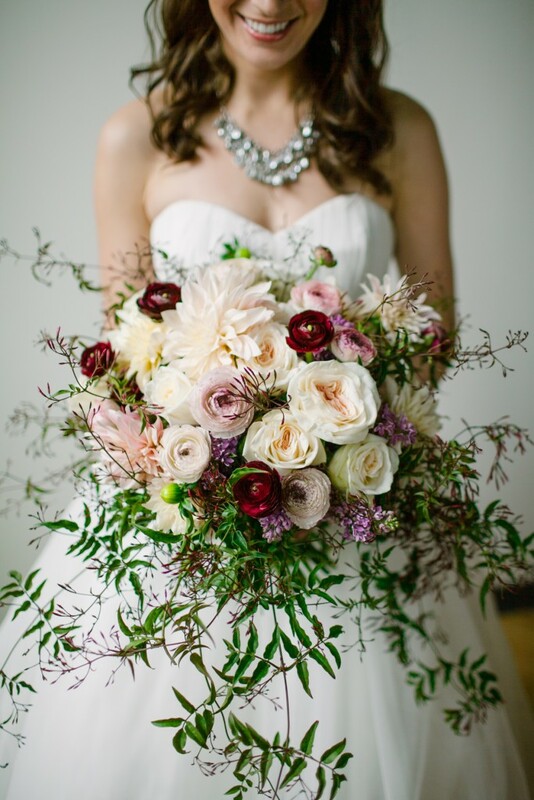 What do you think of this styled shoot? Please share your comments below!